Meritage Homes Las Vegas sales promotion starts May 3 in Inspirada Henderson, Nevada real estate. The Get It All builders incentive includes free upgrades and appliances within the 2,000 acre master plan of Inspirada. Toll Brothers New Las Vegas Homes For Sale In Inspirada Real Estate the master plan in Henderson, NV. Inspirada real estate by Toll Bros. features homes starting from the $200,000s. 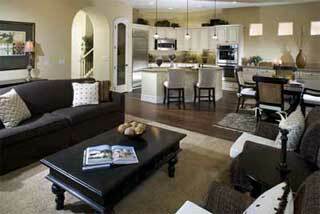 Some models include condos, townhomes and single family homes in over 20 new home floor plans. Henderson home features balconies, courtyards, side and front porches outside the exteriors. Interior amenities are family rooms, foyers, spa master bathrooms and dining areas. 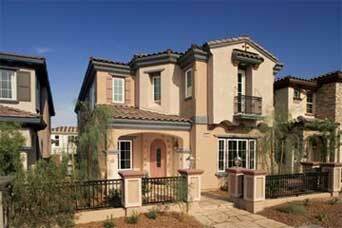 Inspirada master plan in Henderson real estate offers New York City Style homes for sale. Inspirada Las Vegas is a 2,000 acre master plan in the southern valley. Both Mansion Homes and City Homes are offered. Mansion Homes are grouped in four residences under one roof which looks like a single family home. Individual houses range from 1,400 to 1,700 square feet and patios, shared private motor court, private balconies and a hidden two car garage.